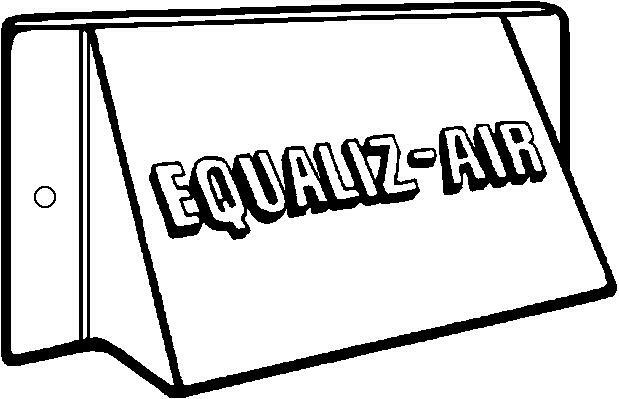 EQUALIZ-AIR was invented in 1978 when the first energy crunch was on. Its unique, two-hose design provides combustion air for the gas furnace and hot water tank and make-up air for leaks, the dryer, the fireplace, and bathroom fans. EQUALIZ-AIR is the only patented make-up and combustion air device available today. Its design provides a controlled opening for replacement air to enter into the return air duct of any forced air furnace. Its second hose provides an energy savings by allowing outside air to be used for combustion in the gas furnace and the gas hot water tank. As homes are getting tighter to conserve on energy they are also stopping outside air from entering the home which can cause a health hazard. The 2001 Residential International Mechanical Code and many city codes now require that both VENTILATION/MAKE-UP AIR and COMBUSTION AIR be provided to all new residential home construction and some re-modeling. EQUALIZ-AIR is the only, patented, two-hose system which provides both ventilation/make-up air and combustion air. Through one of its hoses, EQUALIZ-AIR provides ventilation/make-up air for exhaust appliances and air lost due to exfiltration. Through the other hose, EQUALIZ-AIR provides combustion air for gas forced air furnaces and/or hot water heaters with non-sealed combustion chambers. 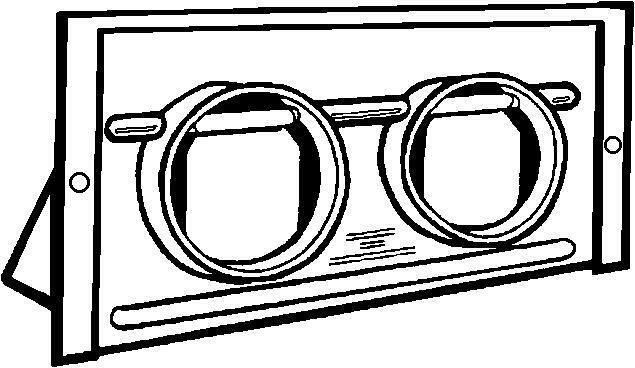 A one-hose system connected to the return air plenum will provide ventilation air when the furnace fan is operating. However, a one-hose system does not provide combustion air to the heat exchanger without being tempered. Therefore, there are no energy savings to the homeowner. A one-hose system may also pressurize the dwelling thus forcing warm, humid indoor air into the wall cavities, which could cause mold and could reduce the effectiveness of the insulation. A one-hose system without a damper can allow warmer air to escape back out the ven when the furnace fan is not operating. A system which has a damper door located within the heated space of the home has the possibility of condensing and freezing in place during extremely cold weather. EQUALIZ-AIR's patented (Patent #4,498,624) two-flapper design has two damper doors that are connected to each other on a common shaft; when one is opened, the other also opens (see pictures below). EQUALIZ-AIR is installed similar to a one-hose system by connecting either of the hoses to the return air plenum and routing the other hose to the floor near the gas furnace and/or gas hot water heater. With the second hose being located in the proximity of the furnace and hot water heater it can detect a negative pressure (due to the air going up the chimney) and open the damper doors. Now, outside air can enter the dwelling and feed the combustion chamber and chimney reducing the negative pressure in that area without going through the return air system. 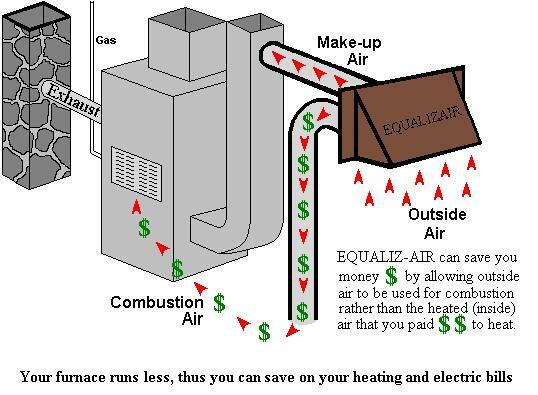 EQUALIZ-AIR can even operate when the furnace is off to reduce other negative conditions. EQUALIZ-AIR's unique design will not allow the damper doors to freeze since the damper doors are located on the outside of the home. Installation is easier because there is no damper inline that you must level or balance. EQUALIZ-AIR has been recommended by a technical specialist at the U.S Department of Energy: "This could add to substantial saving over the course of the heating season, but it won't have customers knocking down your door either. I still believe the best feature of [EQUALIZ-AIR] is the possibility for increased safety in homes which have been tightened to a degree which could interfere with the need for combustion air." Front view of EQUALIZ-AIR Overall Size: 6" x 12"
We recommend that EQUALIZ-AIR be installed in an outside wall or a basement window within 8 feet of the furnace. EQUALIZ-AIR (or any other outside air intake vent) CANNOT be installed within 10 feet of any exhaust vent!